Praia dos Amores Hostel has a convenience store and a bar for your Happy Hour with friends. A personalised and differentiated service to make your vacation unforgettable moments. 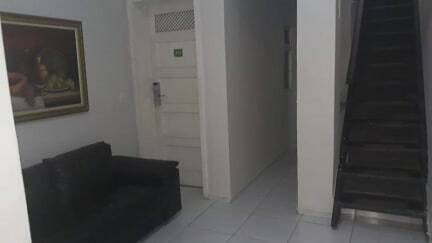 We would like to introduce to you the newest option of lodging in Fortaleza / CE, Pousada Praia dos Amores Hostel (Last name given by the Bohemians to Praia de Iracema in the year 1940). Our Pousada is very well located in the Almirante Barroso Avenue that gives access to the beaches of Iracema, Meirelles and Mucuripe. The route can be all made by walking or you can also choose the taxi that is the door of the hostel and Uber also very used. Praia de Iracema is only 200 meters away from our hostel with a cultural space that gathers the most diverse tribes. Several options of restaurants and bars leave the lodging of its clients even more comfortable and if you prefer, the kitchen of the hostel is from 11:00 am to 10:00 pm released for use by the host. We are still close to the main shopping fairs in the city, and, also, have orientation for wholesale purchases if necessary. We have the perfect accommodation. 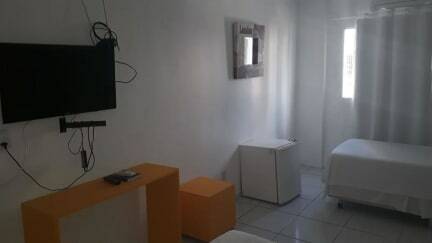 All rooms at the hostel feature with air conditioning, satellite TV and bathrooms. We provide dormitory and private rooms, shared separate female and male restrooms. We are a family hostel with 16 rooms being 2 of them collective and a private bathroom in each.